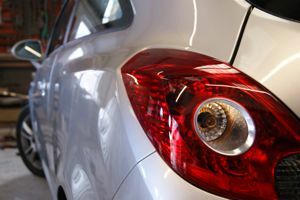 Our bodyshop is fully equipped to take care of motor body repairs from dents, scuffs and scrapes through to full restorations. Our team of fully qualified technicians take pride in their craftsmanship and have extensive experience in all aspects of bodywork. 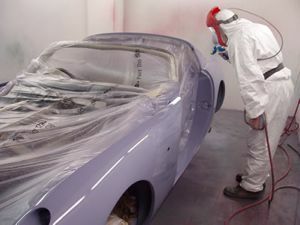 We have a specialist expertise in fibreglass repairs, including custom made fibreglass components, and can repair and paint your new or classic motorcycle. We like to keep abreast of new developments and techniques and opt to use solvent-free or low-solvent paints that are less harsh to the environment. With these higher-performance paints you can be confident of a high quality paint refinish and a manufacturer shine. 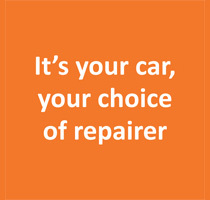 Hanmer Auto Services is an Aixam and Microcar approved repairer and can provide a B1 licence courtesy car.